(0 Customer Reviews) | Write Review 1 issues per year Fertility Road Magazine US Edition is the world’s number 1 title dedicated to providing all the information you need in your dreams of starting a family. The Magazine provides useful information from healthy eating habits to lifestyle choices and answers to your questions written by doctors and fertility experts. Our goal is to make your journey down Fertility Road easier by offering the latest dos and don’ts on conception. fertility title. And you’ve popped in on what is a landmark issue, because this is our first dedicated US edition. 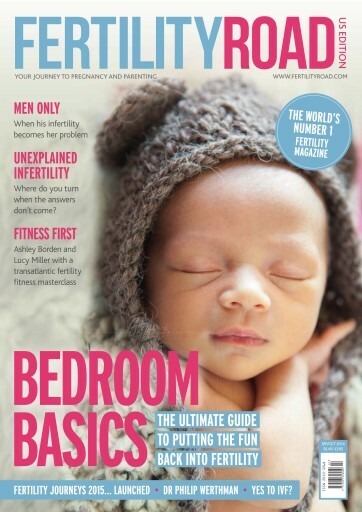 Fertility Road Magazine US Edition is the world’s number 1 title dedicated to providing all the information you need in your dreams of starting a family. The Magazine provides useful information from healthy eating habits to lifestyle choices and answers to your questions written by doctors and fertility experts. Our goal is to make your journey down Fertility Road easier by offering the latest dos and don’ts on conception. You'll receive 1 issues during a 1 year Fertility Road Magazine US Edition magazine subscription. You'll receive 1 issues during a 1 year Fertility Road Magazine US Edition magazine print subscription.